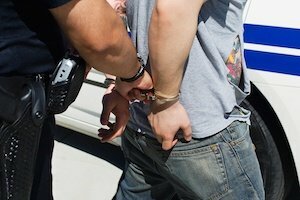 A criminal charge can follow you around for years. It can affect your ability to gain employment, purchase a home or car, even ruin relationships. If you've been accused of a crime, you need an experienced criminal attorney who fights to get you the best outcome possible. Daniel Hilf has a solid reputation for building a strong defense and persuasive arguments that keep his clients out of jail. When your freedom is at stake, get Hilf and Hilf on your side and get on with your life. Daniel Hilf of the Troy based law firm Hilf and Hilf has a reputation for presenting a tough defense and his commitment to his clients. As one of Oakland county’s leading defense attorneys, Daniel Hilf personally meets with his clients to get a deep understanding of the circumstances, details of the charges, and the effects of possible outcomes. His clients have a clear understanding of the implications of the criminal charges they face so they can agree on an aggressive defense strategy for a favorable outcome. Every criminal defense case is unique. As your trusted advisor, Troy attorney Daniel Hilf will weigh all the evidence obtained and determine the best strategy to reduce your charges or fight them in court. When you retain Daniel Hilf, you are getting the experience of a nationally recognized attorney with 3 decades of experience and an exceptional ability to defend his clients in and out of the courtroom. Whether you are fighting a misdemeanor or felony, Daniel Hilf is committed to providing the best representation for your case. If you need a top Michigan criminal defense attorney, call Hilf and Hilf. Accused of a crime not mentioned above? Hilf and Hilf handles all cases related to Criminal Law. Call us today for an immediate assessment of your case.